Washington’s toxicology lab is struggling with a backlog of cases, thanks in part to a surge in requests for blood tests in suspected driving-under-the-influence cases. The lab handled 15,945 cases in 2017, a 9 percent jump over 2016. In the past five years, it has has seen a 45 percent increase in cases, lab manager Brianna Peterson said. The Washington State Patrol runs the lab, which processes blood samples in DUI cases and does toxicology testing for deaths being investigated by coroners and medical examiners. The lab employs 18 scientists, a number that has remained virtually unchanged since 2012, WSP spokesman Kyle Moore said. That means turnaround times are longer, leaving medical examiners to wait for results. In 2017, the median turnaround for testing a sample was 46 days, more than doubling the 20-day wait in 2016. Crime and toxicology lab backlogs have made headlines around the nation, as states including Idaho, Indiana and Arizona have faced increased testing needs thanks to higher numbers of opioid overdoses. But in Washington, that’s only a small part of the picture. WSP also runs the state crime lab, which runs drug tests on samples collected as evidence by law enforcement officers around the state. In mid-2017, WSP Chief John Batiste ordered troopers to stop field testing all drugs because of concerns over exposure to fentanyl, a powerful opioid much stronger than heroin, Moore said. Concerns over the drug grew after an Ohio police officer reported being poisoned from touching illicit fentanyl on the street, but toxicologists called that account into question. The Centers for Disease Control and Prevention has since updated its guidelines for first responders, saying that mere skin contact is not likely to cause an overdose. Moore said he’s not aware of any WSP cases of an officer being sickened from fentanyl exposure, but he said the move was a precaution. “In order to protect our front-line officers we would rather have it sent to a controlled environment,” he said. And evidence from a lab holds up better in court cases than the field tests officers do, he said. The Spokane Police Department and Spokane County Sheriff’s Office are still field-testing drugs but encourage officers to wear gloves and send samples in if they have any concerns. Still, the concern isn’t causing a big increase in tests, said Mary Kerlar, spokeswoman for the lab. The toxicology lab is seeing more samples from death investigations, Peterson said, and analyzing the drugs in dead people can make tests take more time. The biggest increase has been for DUI blood tests, which Peterson said was driven by the legalization of marijuana. In response, WSP and other law enforcement agencies have trained more drug recognition experts, and troopers are more likely to spot someone who’s under the influence of a drug other than alcohol. 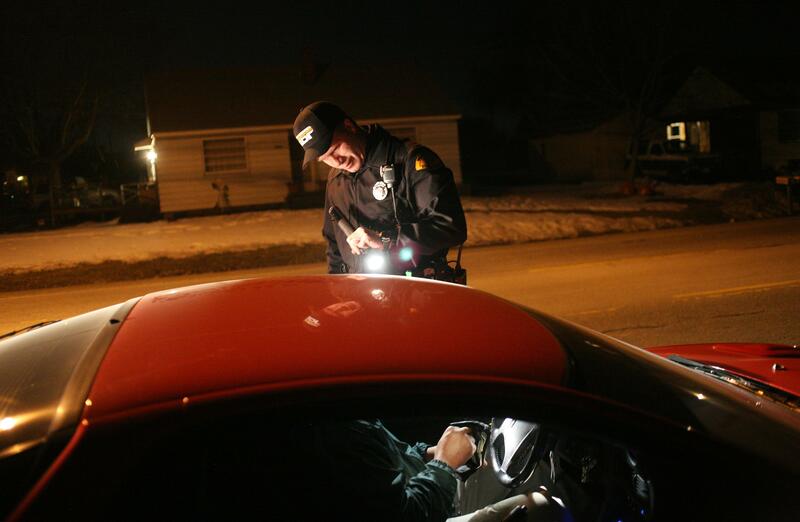 Before legalization of marijuana, a trooper might simply conduct a breathalyzer test on a suspected drunken driver. But blood tests are necessary to show the presence of marijuana or other drugs. Kyle Moore, a spokesman for WSP, said the number of drivers under the influence of alcohol in Washington has fallen, but the number who are under the influence of multiple drugs has increased. “There’s multiple drugs in the blood and that requires more time and more testing,” he said. Moore said there’s recognition at the state level that the lab needs more scientists, and discussions are ongoing with WSP and the state’s Forensic Investigations Council to secure funding. Published: March 7, 2018, 6 a.m.